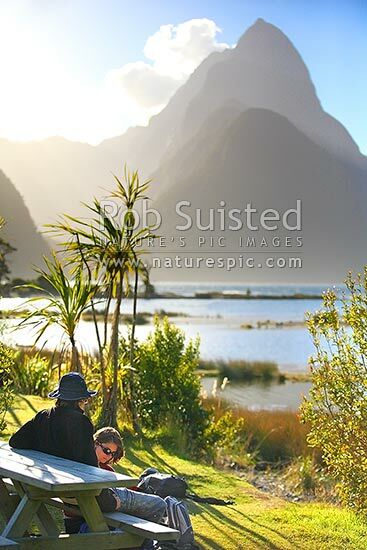 Independent travellers enjoying the sun at Milford Sound, Fiordland National Park. Mitre Peak beyond. Backpackers, Milford Sound, Fiordland National Park, Southland District, Southland Region, New Zealand (NZ), stock photo.